So last night's Siena-Rider game at the TU Center got heated after a scuffle late in the second half. That prompted Rider to skip the handshake line at the end of the game -- but Siena coach Jimmy Patsos walked it anyway. Cue the SportsCenter highlights. Siena won the game 78-68. In the post-game press conference, Patsos said of Rider's coach: "I love Kevin Baggett. He, [St. Peter's] John Dunne, and me are the three closest friends in the league, we pal around the most. It was a basketball game. Things got a little heated. I don't think anyone meant anything by it. ... [reporter interjection about in-game situation with Baggett] I just do my own thing. I've got plenty of problems to worry about myself. My inventory plate's full." "I'd like to thank Mitch for his dedication and commitment to Siena basketball the last eight years," director of athletics John D'Argenio said. "This change isn't being made for lack of effort. Basketball is important in the strategic direction of Siena. We have high expectations and aspirations for this program." This move wasn't unexpected. The Saints were 8-24 this year, and 35-59 in Buonaguro's three years as head coach. 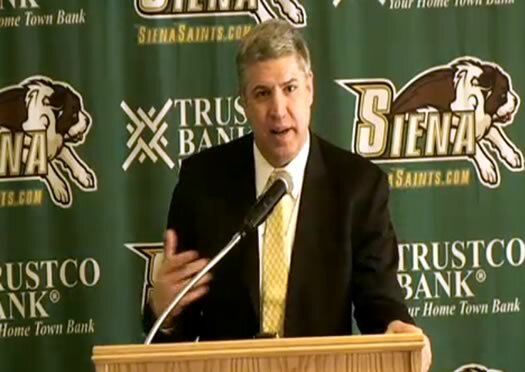 The last few years were a tough pill to take after the tenure of Siena's previous coach, Fran McCaffrey. The Saints won almost 70 percent of their games during McCaffrey's five seasons -- with NCAA tournament appearances, big upsets, and some of the program's best-ever players. 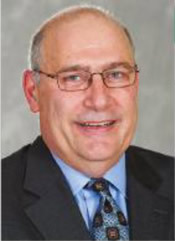 Buonaguro was an assistant under McCaffrey. And when McCaffrey left to become head coach at Iowa, players lobbied for Buonaguro -- who, by all accounts, is a very likable guy -- to get the top job. Check it out: a guy nailed a half-court shot for $25,000 at the Siena game this past weekend. Siena may have fallen off the radar after the Saints lost all three of their games at the Old Spice Classic in Orlando in November, but now they have won 12 of their last 13, they're undefeated in the MAAC and they're ranked 20th in the RPI. 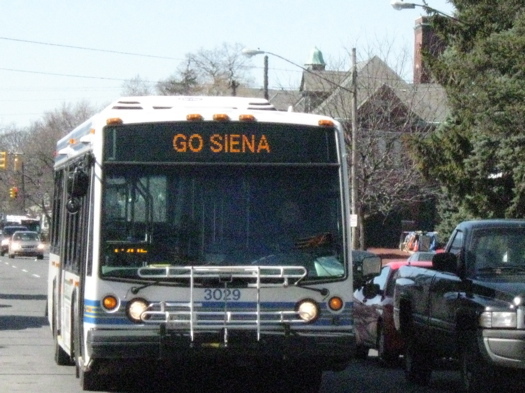 No team will want to see its name pop up next to Siena's on Selection Sunday. For the Saints to get a spot on Selection Sunday, they'll probably still have to win the MAAC tournament (even with that RPI ranking, an at-large bid will be hard to snag). 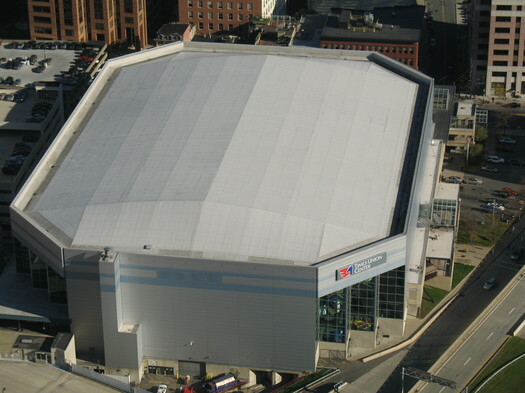 It starts March 5 at the TU Center here in Albany. Here are few details and tidbits to get you up to speed before the Saints' NCAA tournament game tonight. Well, it depends on whom you ask. Are you a wisdom-of-the-crowds kind of person, or do you put your trust in the experts? Because there's some disagreement about the Saints' chances. This weekend at the TU Center, the Metro Atlantic Athletic Conference -- that's Siena's conference -- is holding its tournament to decide who's headed to the NCAA basketball tournament. This is a huge event for mid-major teams like Siena because a spot in "The Dance" would be a career highlight for pretty much everyone involved with the team -- not to mention the publicity it earns for the school. One of the problems with college basketball over the last few years has been that a lot of good teams from conferences that aren't traditional powers have had trouble getting good games. And without a slate of quality opponents, it's harder to get a good seed in the NCAA tournament. So someone came up with the idea of all these good "mid-major" teams playing each other in a series of games called the "Bracket Buster" (you know, like busting the NCAA tournament bracket) -- and to make it even better, a lot of the games get shown on one of ESPN's many channels. So, the Siena's men's hoops team is taking part in the Bracket Buster and it recently found out that its game will be one of the ESPNs (hopefully not the "Ocho"). That's the upside. The downside? The Saints have to travel all the way out to Idaho to play Boise State for their February 23 game. According to Google Maps, that's a trip of roughly 2,500 miles (just 1 day and 12 hours of driving straight through). And in case you're wondering, no, there is no good way to get from Albany to Boise. A Kayak search for airfare reports the cheapest day-before/day-after fare as of this morning was a United flight for $520 -- that is, if you don't mind leaving Boise around 7:30pm the day after the game, making two connections, and arriving at ALB around 11 am the next morning. But, hey, the Saints are getting a good game on TV. Better make sure the iPod is charged.